서울에는 현재 조선시대에 만든 2개의 관천대가 있다. 하나는 창경궁 안에 있는 것이고, 다른 하나는 제작 연대가 알려져 있지 않으나 옛 북부 관상감 자리인 전 휘문고등학교 교지에 있는 것인데, 두 관천대는 구조나 크기, 제작 방법이 거의 같다. 창경궁 안에 있는 이 천문 관측소는 『서운관지(書雲觀志)』에 의하면 조선 숙종 14년(1688)에 만들어졌다. 높이 3m, 가로 2.9m, 세로 2.3m 정도의 화강암 석대(石臺) 위에 조선시대 기본적인 천체관측 기기의 하나인 간의를 설치하고 천체의 위치를 관측하였다고 한다. 지금은 간의는 없고 석대만 남아 있는데, 당시에는 관측소를 소간의대, 또는 첨성대라고도 불렀다. 관상감의 관원들은 이 관측대에서 하늘에서 일어나는 모든 현상을 끊임없이 관측하였다. 17세기의 천문 관측대로서는 비교적 완전한 모습으로 남아 있다는 점에서 귀중하며, 관상감에 세워졌던 조선 초기의 또 하나의 관천대와 함께 조선시대 천문대 양식을 나타내는 대표적인 유물이다. 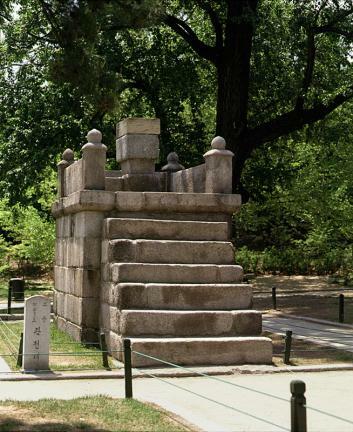 In Seoul are two astronomical observatories at present, made during the Joseon Dynasty. 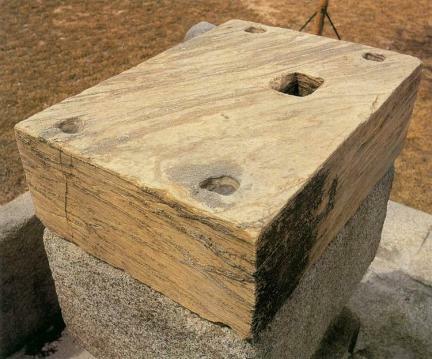 The first one, produced in the beginning of the Joseon Dynasty, is located inside Changgyeonggung Palace; the other one, although the year of its production is unknown, stands on the former school premises of Whimoon High School, the former place of the northern Gwansanggam (Bureau of Astronomy) in the olden times. The two astronomical observatories have almost the same structures, sizes, and production forms. 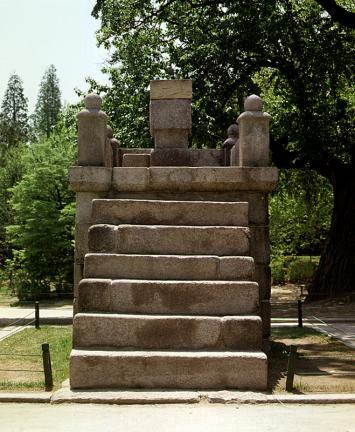 According to Seoungwanji (Record of the Office of Astronomy and Geomancy), the Gwancheondae Observatory of Changgyeonggung Palace was made in 1688 (14th year of King Sukjong’s reign). 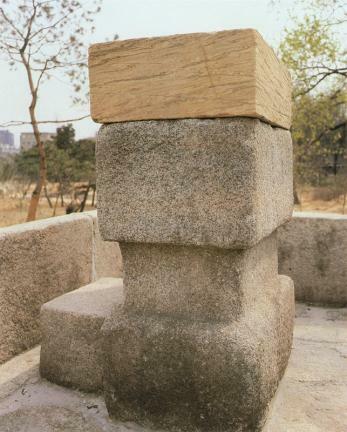 Installed on top of a granite axis of rotation 3 m high and 2.9 m × 2.3 m wide is a ganui or the astronomical gauge, one of the basic astronomical observation machineries of the Joseon Dynasty and used to observe the astronomical positions. Today, the ganui is gone, and only the axis of rotation remains. At the time, the observatory was called Soganuidae or Cheomseongdae. Government officials at the Bureau of Astronomy ceaselessly observed all phenomena occurring in the sky from this observatory platform. It is deemed valuable since it remains in relatively complete state for a 17th-century astronomical observation platform. 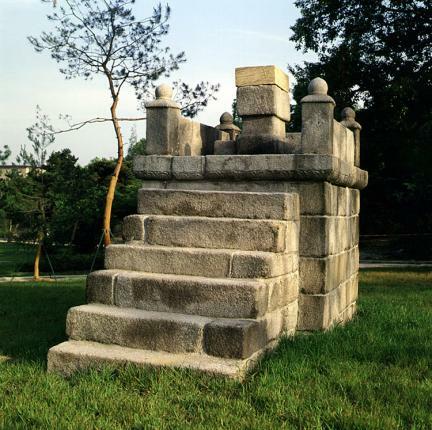 Together with yet another astronomical observatory dating back to the early days of the Joseon Dynasty and which was built at the Bureau of Astronomy, it is a representative relic showing the form of astronomical observatory of the Joseon Dynasty.